BERTH RATES: $6.90 per / foot. A $25.00 gate card deposit is required. Hidden Harbor does not mail a monthly invoice. Berth rents are due by the 10th of each month. Slips are reserved on a first come / first served basis. Wireless Internet included! SECURITY: The owners / harbormasters live at the marina. A card lock gate allows only berthers to enter. 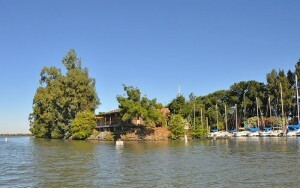 FACILITIES: Mens and womens restrooms as well as laundry rooms are located at the west end of each harbor. A central garbage container is located behind the work-shop at the east harbor. Crushed ice in 7 lb bags is also located behind the work-shop. Electrical outlets on the docks are 20 amp twist locks. Fresh, clean, great tasting water is supplied to the docks and restrooms from our own 300 foot deep well. Gas, diesel, and a self-serve waste pump-out are located on the gas dock. BOATING AND ANCHORAGES: Great adventures begin just outside the harbor entrances. 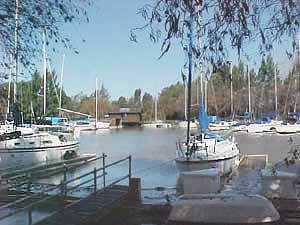 For sailboats, westerly winds from the bay provide a beam reach, either north to Cache Slough, or south down the Sacramento River. 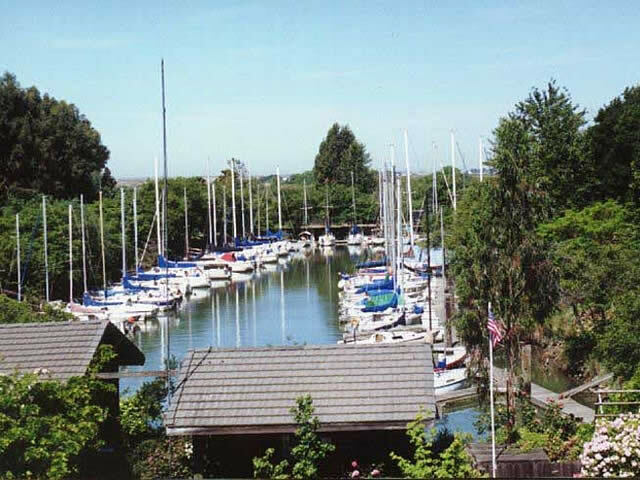 The north Cache Slough area has many beautiful and secluded anchorages in the Prospect and Liberty Island areas. Benicia is just a few hours sail downriver, and is an excellent overnight destination. Sailboats: Minimum length 16′. Must have at the minimum a porta-potty. If the boat is to be used for overnight stays, it must be able to accommodate the owners with sleeping arrangements inside the boat. No sleeping bags in the cockpit are allowed. There is also no landside camping allowed. Powerboats: Minimum length 32′. Overnight stays have the same requirements as above. Power vessels must be equipped with exhaust systems that meet our requirements. We prefer not to have loud, exhaust belching vessels at Hidden Harbor. If your boat is idling in your slip, and it bothers your neighboring boaters, then it is too loud. All boats must have a fully functional automatic bilge pump.